Leader's in CAD,CAM,GD&T, Tool Design Training ! 10+ years of expertise, decade of excellence ! Learn from the expert's in Design & get good placement opportunities ! Our method of teaching Computer Aided Design i.e CAD is unique where in we try to incorporate practical industrial design with our curriculum. We cover practical industrial examples. Our aim is Industry Ready Design Engineer ! Faculty for the module has experience of 14+ years. We help in CAD/CAM Placement as well. Technocad is Siemens Industry Learning Partner. Computer Aided Manufacturing i.e. 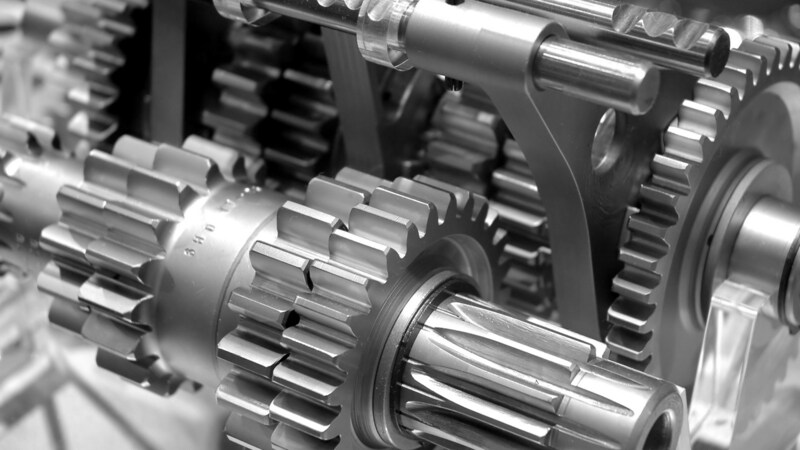 CAM plays a vital role in digital manufacturing ! We involve industrial faculty for teaching CAM Modules. This module includes industrial visits as well. Aim here is industry ready CAM Engineer ! Faculty for the module has experience of 5+ years. Our aim at Technocad is quality CAD/CAM/CAE Training at affordable fees. Technocad is Siemens Industry Learning Partner. Geometric Dimension & Tolerance i.e GD&T module play's a vital role in easy reading of complex drawings.All streams in Mechanical Industry ranging from Design,Quality,Production,Maintenance require detailed knowledge of GD&T. Faculty for the GD&T module has 12+ experience of the relevant field. We help our students in getting placements. 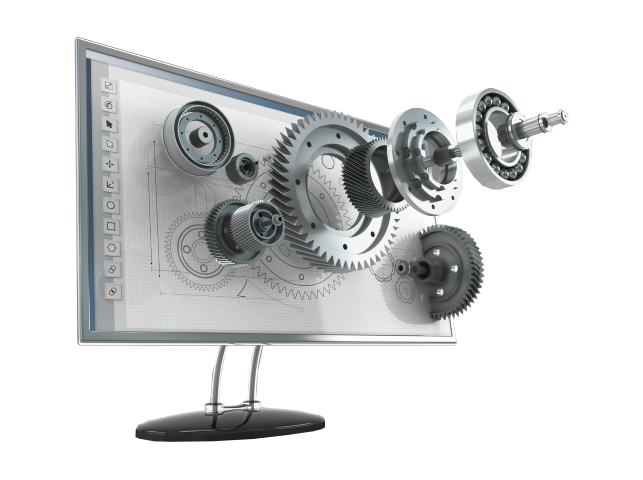 A complete solution provider Technocad provides Engineering Design Training Services to various organizations/Individuals using the new age technology of CAD, CAM, CAE, GD&T, Tool Design,3D Printing,3D Scanning. we have over 14+ years of practical experience in the field of CAD CAM CAE GD&T Tool Design Training. Technocad is one of the fastest growing organizations in the field of CAD/CAM/CAE/GD&T/Tool Design/GD&T Training , Software Supply to industry, 3D Printing & 3D Scanning Studio in Nashik. Technocad is Siemens Industry Learning Partner. Technocad is the first ISO 9001:2015 certified CAD/CAM Institute in Nashik. We blend state of art computing facilities with latest technical resources. Our Service-team is versatile and experienced to handle high-end Engineering Design training & 3D Printing/Scanning . We always strive to accelerate the Engineering Professionals for their skills in Engineering Design through our venture CADJOBZ ®. Our aim at Technocad is to be the best CAD/CAM/CAE Training Institute in Nashik. We help our students in getting placements Nationally as well as Internationally ! Our placement track record is a proof of that. After working in Australia for 2 year's in Inventor I wanted to switch to a better job. I came to know NX has a good demand and so I decided to learn it from some expert. From my friends in India I came to know about Technocad in Nashik. So I came in India and did my training in CAD CAM at Technocad. After that there was no looking back, today I have settled in Australia and I am working at R R Taylor LLC as a Design Head. I was among the first few students of Technocad. My experience here was absolutely good. I did my CAD/CAM Design Training at Technocad and started working at Sipra Engineers pvt ltd. After working there for around 3-4 years switch to Delcam Inc. Right now I am working at Module Working in Germany. Presently I am working at Florida International University, USA. It was a fine experience to learn CAD/CAM at Technocad, Nashik during my Engineering Day's. Mr.Satish Maniar Sir has unique teaching techniques which I really appreciate. If you want to learn design in Nashik only one name 'Technocad'. Design is my passion. Technocad Solutions is finest Institute in CAD/CAM training without a doubt. I am utilizing my design skill now at Royal Enfield R&D center, Chennai. From the initial days of my career I decided to be a design engineer. 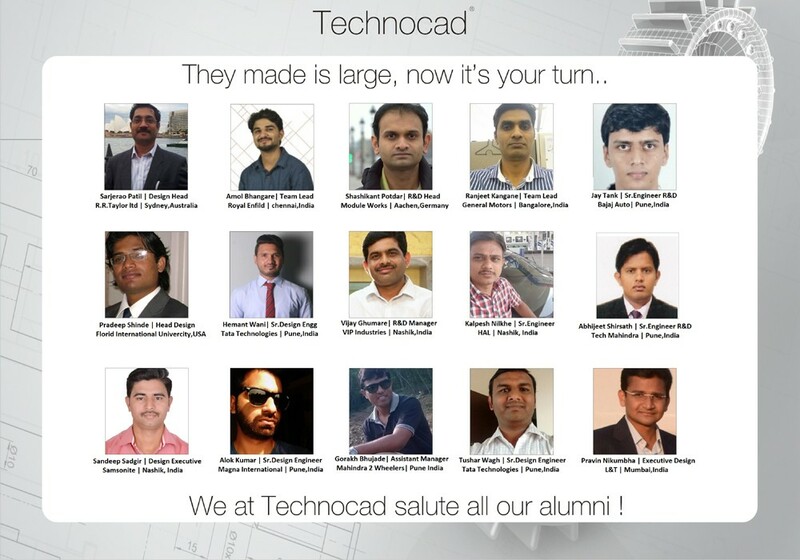 With the reference of our family friend Mr.Nikam, I came to know about Technocad. I took my design lessons at Technocad in 2007 and was very satisfied with the outcome. Presently working at General Motors, Bangalore. I have been connected to the institute since last 10 years. The exposure and knowledge you get through Technocad is worth every penny. You get to learn the CAD tools from industry perspective. You get 1 on 1 attention which helps an individual to learn at their own pace. Don't think too much to join the institute if you are willing to learn the tools in Nashik. My experience with them was good. I have been in this field for last 20 years. I enjoyed learning at Technocad. Visit the place and see the difference. Technocad is the finest Design Institute I have came across. They take a lot of effort for placement as well. One of the finest in CAD/CAM Training. Faculty and facility provided is really good. Technocad is the best CAD/CAM/CAE institute in Nashik . I got placed by Technocad during both my jobs. Presently working at Padma Enterprises vendor of Mahindra, I am satisfied with the profile I have been offered. Thank you. My special thanks to Maniar Sir for his guidance and support in our final year project at Samsonite. Technocad is know for quality CAD/CAM/CAE Training at affordable fees. Engineering Design Training in the most unique way is the specialty of Technocad. I appreciate their effort. They help in CAD/CAM Placement as well. I did my product design training at Technocad. I had a physical problem i.e I am deaf from the childhood, but that didn't stop me from achieving my goal. I was taught in a very special way by them and today I can confidently make models of some of the finest cars like bugati and lamborgini. cant believe it visit my facebook profile. Best CAD/CAM/CAE Institute in Nashik, go join ! Technocad is best Autocad training institute in Nashik. One of the finest Engineering Design Institute, where I got a bird eye view in design. Presently working as a design engineer in a prestigious organization. Thank you Technocad for quality training, design is my passion. Flexible batch timing, proper completion of syllabus and prompt certification are some of the features of Technocad. I got to know about Technocad from my friend as Technocad dont do a lot of marketing like other classes. But on my first visit itself I was convinced about the quality and content and enjoyed my 2 months of training. Thank you for quality work. We keep on getting positive feedback from our student about Technocad. 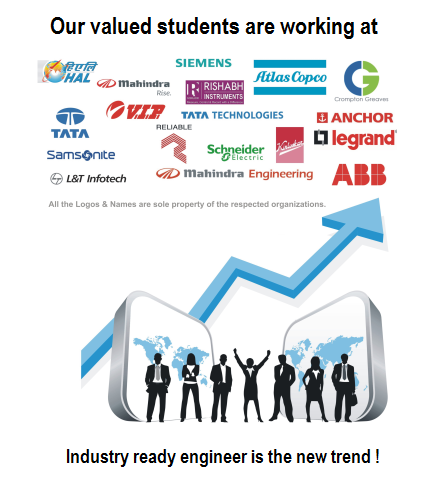 Our students like the approach of training on real-time projects and reveres engineering. Technocad is bridging the gap between Institute and Industry ! We came in contact with Technocad regarding some of our research projects at college. They were extremely friendly and positive. Did the task in professional manner. Pleased with the same we signed MOU with them. We wish them good luck for their future endeavor. Did my training at Technocad 2 years back which helped me a lot. Presently working in Tool Design Department. The institute where I didn't got staff but I got new family. The automosphere in the class is totally for your overall development. I have finished my training but not the relationship. They help in placement as well. I did a Design Diploma at Technocad. It was a good experience all together. Faculties were good and Mr.Satish Maniar Sir was also very supportive. I will recommend them for Design Training. One of the best CAD/CAM institute in Nashik. Thank you for thorough training. They help in placement as well. Technocad is know for quality CAD/CAM/CAE Training at affordable fees. I completed my training in Unigraphics Nx and Autocad at Technocad, Nashik. It was a fine experience with practical approach. If you wish to make a career in design go join Technocad. During my Third year of Engineering my friend Nikhil told me about Technocad. I visited the institute and was convinced about joining the institution. I completed my training and it is presently helpful to me in my B.E. project. Thank you for detailed knowledge of the product. My experience with Technocad is very good, the environment over there is great for learning and also the staff is very supportive. along with that Technocad helps you with your project work or any other help you need. they also gives you great guidance for your future. They help in CAD/CAM Placement as well. Thanks a lot Satish Sir for providing such useful & professional training. Just visit this institute once then you will know what I mean to Say. One of the best design institute in nashik. Good teaching staff. Nice environment. TECHNOCAD is an great institute,it provides better infrastructure than other institute it provide good quality of education which help to craete a better future.technocad is also provide extra curriculum activities like actual model design with the perfection,full practice. They trains u individually. Overall TECHNOCAD is the best institute for our great future. My experience with Technocad is great.The thing I like the most is the learning environment and the friendly nature of Satish sir and all the staff.It the best designing institute. Excellent Institute for UG NX.Faculty are awesome.You will enjoy your time. Technocad is one of the best design institute in Nasik. Technocad did my placement as a Design Engineer, I am satisfied. I placement in CAD/CAM was done by Technocad at Samtech Industries in MIDC,Satpur. Presently I am involved in design of 2 plate and 3 plate moulds. I am enjoying the profile and I am thankful to Technocad ! Technocad is a place which gives your ideas and innovations a way and guides you to use them in practical life...Personally here I get the practical knowledge and be able to use them in my work..All credit to Satish Maniar Sir.. Thanks for your guidance..
One of the best Design Institute in Nasik... Individual Teaching and very friendly atmosphere... If any one wants to make career in Design then "Technocad" is the best Solution for them. Technocad is best Autocad training institute in Nashik. I did my CAM training at Technocad. I was taught in detailed also a industrial visit was arranged my proper understanding. I am a product designer passed from MIT,Pune. I did my Design Training at Technocad. I was happy with the results. Yeah! It's The Best Cad Tutorial I Have Ever Seen... It include The Modern Design Software and Facilities are Friendly and Helpful. Staff is very cooperative and supports the students to drive results. Satish Sir is like a big brother who is always guiding you and treats you as a family.